Michelle Elliott is a playwright, bookwriter and lyricist. She met her long-time collaborator, Danny Larsen, while at NYU’s Graduate Musical Theatre Writing Program. Together, Elliott and Larsen have written six original musicals, including THE YELLOW WOOD (which received a Richard Rodgers Award and the Daryl Roth Award), CLOAKED (which received the Jonathan Larson Award and for which Michelle was awarded the prestigious Kleban Prize for Most Promising Librettist) and their newest work, MAIDEN VOYAGE, a passionate exploration of the lives of women aboard a notorious pirate ship. Danny and Michelle have written an online musical for teens in response to the spate of suicides by gay youth called THE HINTERLANDS. The show can be viewed at HinterlandsTheMusical.com and via Youtube. Michelle’s first full-length play, PROMISING, is the story of a rising politician accused of sexual assault. It will be produced in New York City (November – December, 2015) at Theatre Row on 42nd Street. She is currently working on two new plays, MICRO LIFE and THE MIDWESTERNERS, as well as a new chamber musical with her collaborator about New York City’s Hart Island. In addition to an M.F.A. from New York University in Musical Theatre Writing, Michelle has an M.A. in Directing from University of Wisconsin – Superior and a B.A. in Performance from University of Wisconsin – Eau Claire. 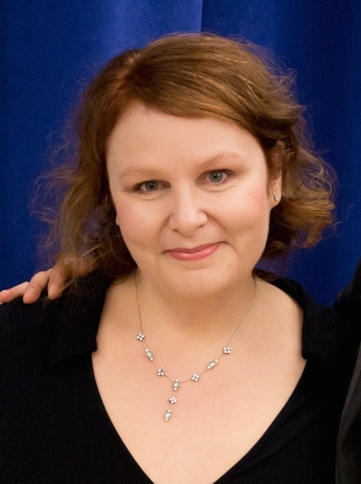 Prior to moving to New York City, Michelle co-founded an independent theater company in Minneapolis, Minnesota called Frontier Theatre, where she wrote, directed and produced original musicals. Michelle is a proud member of ASCAP.